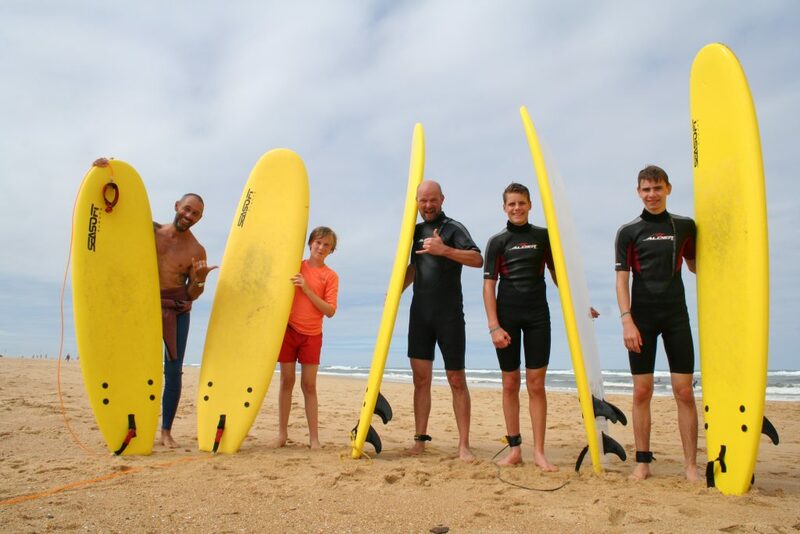 Private Family Group Surf Lessons Hossegor this summer. If you are looking for a good fun lesson with your family this is the school for you. We will close the group as long as there are four members in the family. We can accept up to eight in a family group. Check out full details here of our group lessons in and around Hossegor. Learn in a fun environment with your family and progress faster. We do day by day lessons or you can book up a few days or a week. The more you book the cheaper it is, heres the prices page. We have a range of other survices that may interest your family. The most experienced guide on the coast is ready to take you to some different waves of the beaten track. We have course and lessons for everyone, check out all of our services here.